Another in a long series of sites targeting car buyers in the UK. Don't fall prey to these scammers. The site is hosted in Pakistan. Read how the scammer is threatening me for not removing this post. Here is data supplied from intended victims. 18,200 miles, 2008 Audi A5 Coupe 3. 0 ABT White . Serious buyers please contact me only e-mail at : r.r.f(@)msn dot com.Storage Pack, DVD Navigation, Heated Front Seats, Cruise Control, Bang&Olufsen, Bluetooth, Full ABT Conversion - Full Bodystyling Package to include Front and Rear Bumpers, Side Sills, Rear Boot Spoiler, 20" Wheels and Tyres, Wide Track, Quad Tailpipes, ECU Upgrade, Red Calipers,Serious buyers please contact me only e-mail at : r.r.f(@)msn dot com .2008 Audi A5 Coupe 3.0 ABT White . £12,200 No canvassers or agencies. 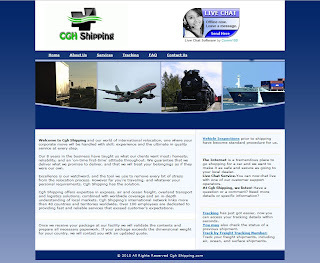 http://www.cgh-shipping.com/ at the 'ONLINE' section of their web-site. inspected,with all its papers and ready to be shipped. as a third party between us.